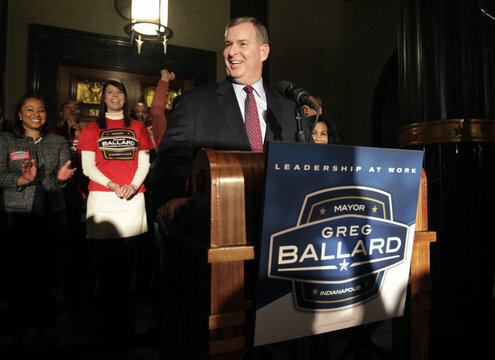 The re-election of Indianapolis Mayor Greg Ballard was not inevitable by any stretch of the imagination. At the end of the campaign, only 51% of the people voted for his re-election, hardly an overwhelming mandate. The Ballard campaign was mediocre at best. It lacked a consistency and a message. The Ballard campaign was defensive and let the opponent define the terms of the election. Still, even though challenger Melina Kennedy had a weak opponent and plenty of ammunition to use, her campaign chose not to fire that ammunition and to instead fight the election on grounds on which Ballard could actually win. What could Kennedy have done differently? Well let's start with the candidate. Kennedy is a smart, attractive candidate. 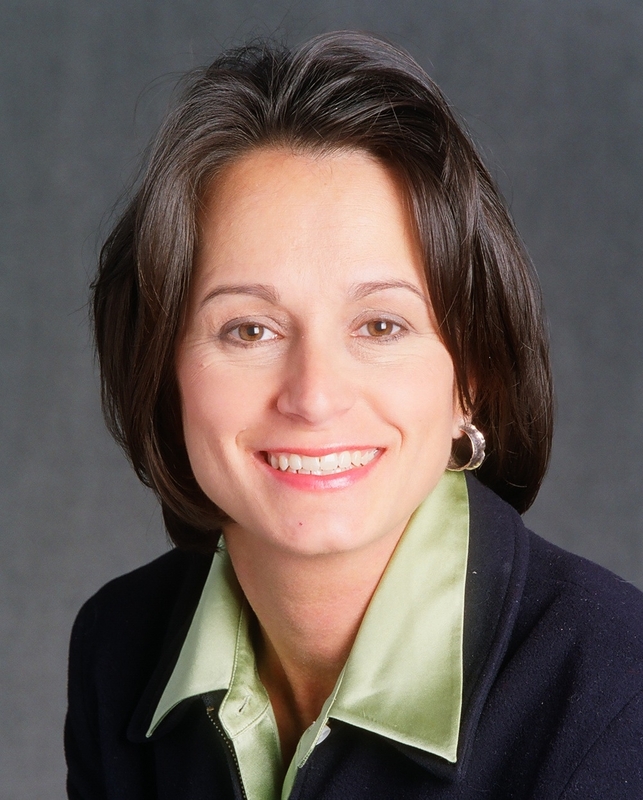 But she's also an attorney from a big downtown law firm, an insider who had served as a Deputy Mayor in the Peterson administration. Ballard had spent four years governing as an insider, establishment Mayor. In a populist climate that produced both the right-wing Tea Party and the left-wing Occupy Wall Street movements, the Democrats would have been wise to have nominated an outsider, someone who had better appeal to every day working men and women angry about government handing out tax dollars to wealthy corporations. That person would have drawn support from both Democrats and Republicans. But while Kennedy was not the perfect candidate for the times, she still could have won, and easily so. Let's re-examine the strategy her campaign used, starting first with the primary. The importance of money to political campaigns is often misunderstood. The media focuses simply on how much money is raised and how much is left. But the HOW AND WHEN MONEY IS SPENT is every bit as important as total dollar amounts. Campaigns have "windows" during which voters are paying attention. Contrary to what some people think, primary competition is not always a bad thing and spending money in a primary is not always bad. A primary, especially a primary with competition, is a window when voters are paying attention and learning more about the candidates. With two opponents in the primary, both of whom had some name ID but lacked the resources to compete, Kennedy had the perfect situation. She should have spent money in the primary window running strictly positive ads about herself, defiing herself without any interference by the Republicans. By the time, the primary was over, voters would have thought her to be a terrific candidate and made it easier for her to later run "negative" ads without her being defined as negatively as she was. Kennedy's not spending money in the primary might have seemed smart. But it wasn't. Spending that money leading up to the primary would have been a great investment for the general election. In the general election cycle, Kennedy should have started out positive, reminding voters of how great she is, as established in the primary cycle. During that general election initial positive stage, she should set out her agenda of what she wants to do if elected, with maybe three bulletin points, and more detail available for those seeking it. After that initial general election positive stage, she should have gone after Ballard on specific issues. Don't let anyone say otherwise, a challenger who does not criticize an incumbent, especially an incumbent Mayor, has no chance of winning. Elections involving an incumbent are a referendum on the incumbent. A challenger does not beat an incumbent unless he or she says why the incumbent should not be re-elected. How should Kennedy have gone about picking issues to address? The campaign at this stage should have hired a media or public relations outlet that empaneled a focus group. A focus group is a group of maybe 15-20 individuals picked at random from the overall electorate. The focus group would include Democrats, Republicans, and independents, men and women, people of all races/ethnicities and ages. The media outlet first asks the focus group both direct and open-ended questions about the perception of the Mayor and his challenger. Why do that? It's because any message works better if it fits into a pre-existing perception about the candidate. For example, there is a pre-existing belief that Ballard is a "nice guy." While some people who have worked with Ballard suggest otherwise, a challenger is not going to be able to use a message the acceptance of which depends on the conclusion that Ballard is not a "nice guy." It's hard-wired into the electorate that Ballard is a nice and sincere man. The focus group, however, would have revealed pre-existing beliefs about Ballard that opened up avenues to attack. For example, before the election, I doubt the focus group would have called Ballard a "strong leader" and likely would have agreed with the statement that he is too influenced both those people around him. That could have been a theme that Kennedy played on when it came to selecting specific issues for telling voters why Ballard should not be re-elected. The focus group members should have also been asked their opinion on specific issues. My guess is almost the entire focus group would have been against the Mayor's decision to give the Pacers $33.5 million and would have been pretty animated in their feelings. To only a slightly lesser degree, I think the 50 year parking meter contract would have been an issued that stirred opposition from the focus group, especially when told (the truth) that 70% of the parking meter revenue over the next 50 years is going to a Texas company. Same too with respect to the Broad Ripple parking garage, which taxpayers pay to build and is given away to Keystone Construction. Finally, the CIB actual and proposed tax increases too would have raised people's ire in the focus group (Ballard proposed increasing the alcohol tax, the food and beverage tax, the rental car tax, the hotel tax, the ticket tax), especially if raised in a specific fashion and tied to more tax dollars given to professional sports. All these issues relate to the specific theme, i.e. that Ballard is a weak leader who is manipulated by people around him. You don't want to make the argument that Ballard is a bad guy - people refuse to believe that - but rather that he is a guy overwhelmed by the job and is dominated by people around him. You contrast that with Kennedy, making her to appear to be someone smart and in control, someone who is willing to say "no" to the insider fat cats who dominate the Ballard administration. At the "negative" stage, Kennedy never developed a message that fit into a pre-existing view about Ballard. She never went after the leadership issue. The issues involving corporate welfare which would have most moved the focus group against Ballard, went untouched by Kennedy, probably because she really isn't that against what Ballard did. It could have also been because of WHO Kennedy received campaign contributions from. A perfect example is the tens if not hundreds of thousands of dollars she received from the Simons family. Is that money really worth it if because of it she has to take one of her best issues - the Pacer $33.5 million taxpayer gift - off the table? Kennedy finished the final days of the campaign as she should have, with a positive message about her. But by that time, the election was over. She had not defined herself or Ballard. Neither the Kennedy or Ballard campaigns had a coherent, overall campaign strategy. That mystifies me. These campaigns spent several million dollars yet they didn't seem to follow market-based, campaign strategies that are well-known to people in the industry. "Neither the Kennedy or Ballard campaigns had a coherent, overall campaign strategy. That mystifies me. These campaigns spent several million dollars yet they didn't seem to follow market-based, campaign strategies that are well-known to people in the industry." You and I must not have witnessed the same race. Ballard's campaign messaging was very effective. That's why he won. Kennedy's was horrible. You are correct in your assessment that Kennedy's campaign failed to highlight Ballard's warts. Kennedy's ads playing up her endorsement by the FOP played right into Ballard's messaging that he was forcing changes at IMPD opposed by the rank-and-file. There were plenty of fallacies to Ballard's message that Kennedy could have highlighted, but she failed to do it. She didn't have one memorable ad. Even her biographical introduction made her out to be a plain jane. Who cares? She was the wrong nominee. She's just electing Baker and Daniels, instead of Barnes and Thornburg. I couldn't stand either one of them, so I skipped voting. I think the Dems threw this. You forgot Ballard's speech when he was elected the first time about the end of country club politics in Indy . That would have been an easy one to hit him with without offending to many paople. The Kennedy campaign had to have had the video and the speech. Then they could have shown where Ballard was given three free C.C. memberships. A novice campaign manager could have ran a better campaign then Kennedy's camp did. It shows that Melina obviously doesn't have the back bone to stand up to her handlers. Maybe divided government is a better solution to a straight Republican or Democratic solution. At least there are a couple of new couselors that I hope will not be rubber stamps to the law firms and their clients who keeping ripping off the tax payers. Excellent analysis! I think you hit the nail on the head (many people are referring to your suggestions in similar posts). Maybe you should be a campaign manager in four years for the democrats? Please, if Kennedy,D. was a male, Tues., she would have prevailed over Ballard,R. ; just as if Gifford,R. was a male, she would have prevailed over Peterson,D, for Mayor of Indianapolis eight years ago. That is my conclusion based on my information and experience. No Gifford ever ran against Bart so that theory doesn't hold.